Bizarrely, we got orders for 2 pretty much identical cakes for the same date! Available with the train of your choice! 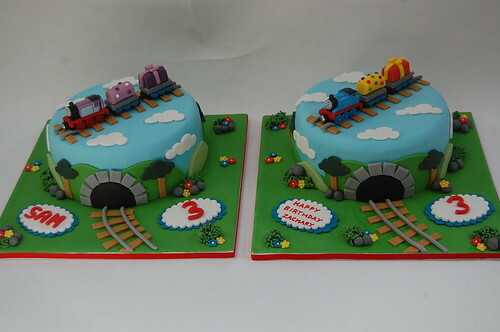 The Circular Thomas the Tank Engine Cake – from £80.